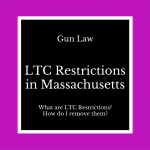 What are LTC Restrictions in Massachusetts? 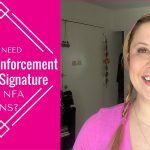 Why did I get a restriction on my LTC? Chiefs can apply these restrictions at their discretion, but this typically happens in towns that are known to give every applicant a restriction on their first LTC (insert constitutional argument here) or if they have a suitability reason but they don’t deny you your license to carry all together, and instead grant it with a restriction. Keep in mind that there is no official definition of these restrictions so make sure to ask your issuing department what they expect from the restriction. 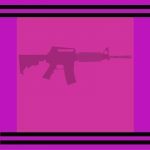 In my conversations with law enforcement, I have found that in some towns, the chief is concerned with a person’s experience handling firearms and some welcome a request for an “upgrade” in a year with proof of more shooting an carrying experience. There are three types of restrictions for an LTC in Massachusetts: Target & Hunting, Sporting, and Employment. Target and Hunting Restriction: This allows you to concealed carry to and from a range or a hunting excursion. Sporting: I have heard that this is like Target and Hunting but includes things like camping. Employment: This allows you to carry on the job and typically needs a letter from your employer stating the circumstances. If you are issued an LTC with a restriction, the restriction may be appealed and removal requested through filing a compliant and requesting a hearing in the district court any time after the restriction is applied. Personally I have had success negotiating a restriction removal outside of court on a few cases. I am happy to set up a consult in my office or via Skype. Please let me know and I will have the office follow up. Due to the nature of the practice and topic, I only work with clients and will not give free legal advice via email.